John Hopkins University partnered with a California lab to test the contents of CBD edibles in the L.A., San Francisco, and Seattle metro areas. Out of the 47 brands and 75 products the University tested, only 17% had the correct contents on the label. Less than 1 in 5 of the many available brands throughout these cities accurately labeled their product. Who would have thought something as simple as knowing what’s actually in your product could put you lightyears beyond your competition. 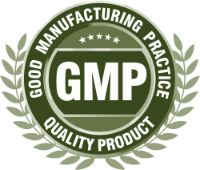 Your private label CBD gummies will put you ahead of the competition by offering customers accurate ingredient lists. But how do you know you’re not just getting the same mislabeled product many other entrepreneurs with good intentions are selling? You partner with a private label hemp manufacturing company that takes their plants from the farm to the lab, so no subpar product ever gets into your supply chain. Nothing leaves Spring Creek Labs before getting tested. In a small experiment looking for potential side effects of CBD compared to placebo found none. The participants that took 600 mg of CBD showed no side effects when compared to the group taking the placebo. Taking CBD orally is an easy and effective way to start including it in your diet. But what makes gummies such a popular medium to take your CBD in? Unlike more perishable edibles like cookies and other baked goods, gummies offer a longer shelf life without the need for refrigeration. They’re discreet and don’t look like your taking medication when you’re in public. And they don’t require vaporization or smoking to get the beneficial effects. This is important for customers looking to CBD for medicinal benefits. Smoking cannabis, even CBD dominant cannabis, exposes customers to lots of carcinogenic compounds. The jury is still out on vaping, but sticking to inhalant limits your customer base. Not everyone smokes, but everyone eats. 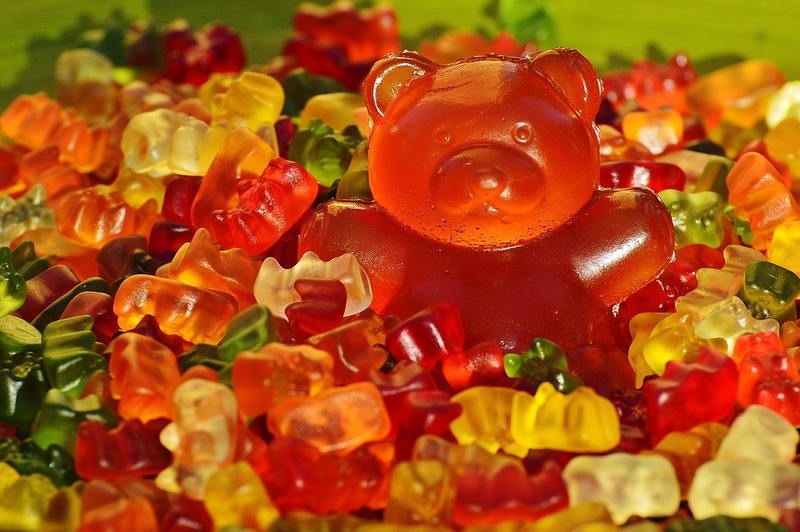 Gummy bears are the perfect crowd-pleasing CBD product to start your business with. They are marketable to the entire CBD industry, not just customers who smoke or vape. With tons of flavors to choose from, you can market different flavor packs and create limited edition product lines. Spring Creek Labs specialize in working with startup entrepreneurs so new businesses can pivot and create new custom formulas at the drop of a hat. Do CBD Gummies Really Work? The benefits of CBD go far beyond anecdotal evidence. First of all Spring Creek Labs CBD products never have a THC level higher than the 0.3% legal limit, so you won’t get high or “stoned” from CBD gummies. In fact, CBD is even being used to ween longtime marijuana users off the intoxicating drug. But CBD is useful for a slew of ailments, from drug-resistant seizures to public speaking. We’ve all heard that speaking in front of a group is the most common fear, even before death. As terrifying as it is, it’s something almost everyone has to do at some point in their life. In an experiment looking at CBD’s effects on participants with a generalized social anxiety disorder (SAD). Participants had to read a speech aloud in front of a camera. Physiological signs, like sweating, helped researchers determine how nervous the participant was in front of the camera. With the aide of either a placebo or a 600 mg oral dose of CBD, participants had to give their speech under the watchful eye of the camera. The group that took CBD had decreased levels of anxiety, embarrassment, and were much less on edge with the follow-up questions afterward. So CBD might actually make you more confident. Bioavailability is an important aspect to keep in mind when planning your line of CBD gummies. What is bioavailability? It’s how much of the dose of CBD you take actually gets absorbed into your bloodstream. A 2009 study found that the bioavailability of CBD taken orally can vary from 4-20%. That’s why so many experiments that give their participants CBD orally often use doses of over 500 mg. So at best, your customers will actually absorb around 100 mg out of 500 mg worth of CBD gummies. Most mislabeled products contain less CBD than they claim. That’s why it’s important for your gummies to have consistent high doses of CBD. CBD shows amazing promise for cancer solutions. CBD can actually program cancer cells to kill themselves? Yes, you see, all cells have pre-programmed systems that regulate them so they aren’t under or overproduced. Cancer cells don’t have this “shut off” valve unless something like CBD intervenes. CBD comes in and tells the cancer cells it’s time to pack up. With the signal that they no longer need to keep reproducing, tumors gradually decrease in size. In just 4 years, sales of CBD product have multiplied by almost 5 fold. Last year, the U.S. saw sales in excess of $512 million compared to just $108 million in 2014. Don’t wait for everyone else to cash in on the CBD industry before you get your shot. Spring Creek Labs can help you launch your CBD gummy line today. Don’t worry about getting millions in startup capital, you can start with as little as 500 bottles. That’s plenty to get your marketing and business plans started. To cash in on the booming CBD industry, call and get your quote today! You could start production on your line of private label CBD gummies by the end of the week. Our low minimums allow you to test the market without making a huge investment. Your customers will get full access to a laboratory and CBD manufacturer with decades of experience. Not only that, but you’ll be able to price your products competitively since you won’t have to budget for research and development. The CBD industry is booming but don’t get stuck with an unreliable manufacturer with mislabeled products. Go farm to shelf and email Spring Creek Labs today for a free quote!